Normally, I tend to prefer the chocolaty versions for desserts. Because I like to drink a cup of coffee with it and my palate likes chocolate the best. EXCEPT there is mom’s apple strudel or this cherry pie. It is the perfect dessert on Valentine’s Day, Mother’s Day, Birthday or the other 362 days of the year. 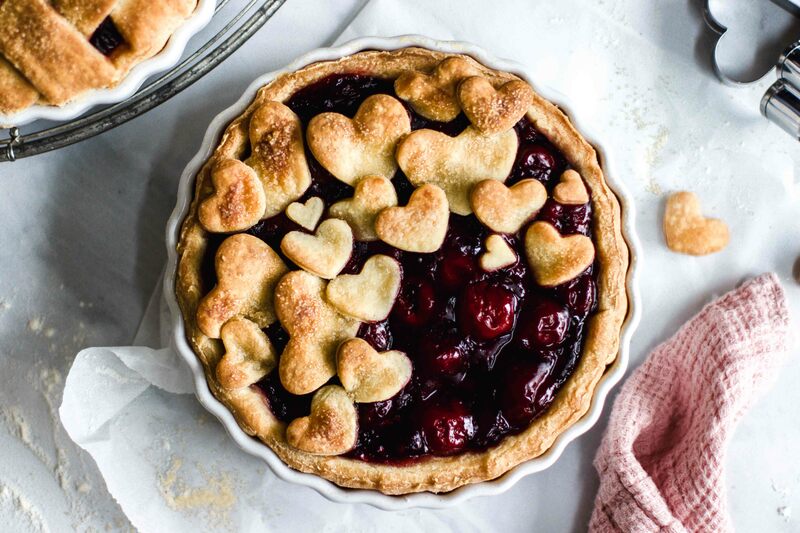 Let’s start with the heart of the matter: the warm, soft, sweet-sour cherry filling. It consists of no more and no less than FOUR ingredients: Cherries, starch, vanilla and sugar. The latter three make up such a small proportion that it is hardly worth mentioning. Since it is only February and there are no fresh cherries yet that do not come from South Africa, I used the store-bought cherries which lay already in some cherry juice. I know this is a bit cheated and not quite comparable to the summer ripened fruits fresh from the tree, but still an absolutely okee alternative. 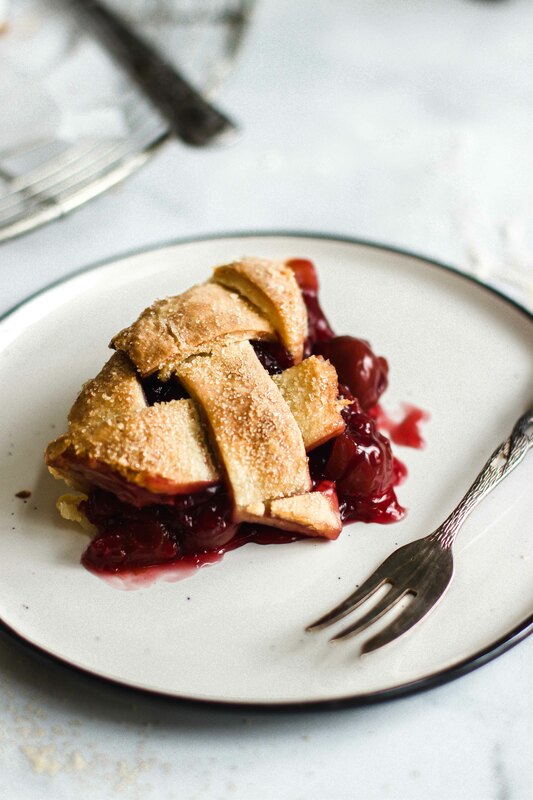 An equally important part of the taste of this cherry pie is the homemade crust. It consists of an easy peasy curd puff pastry. This is nothing more than curd cheese, butter and flour kneaded to a dough. 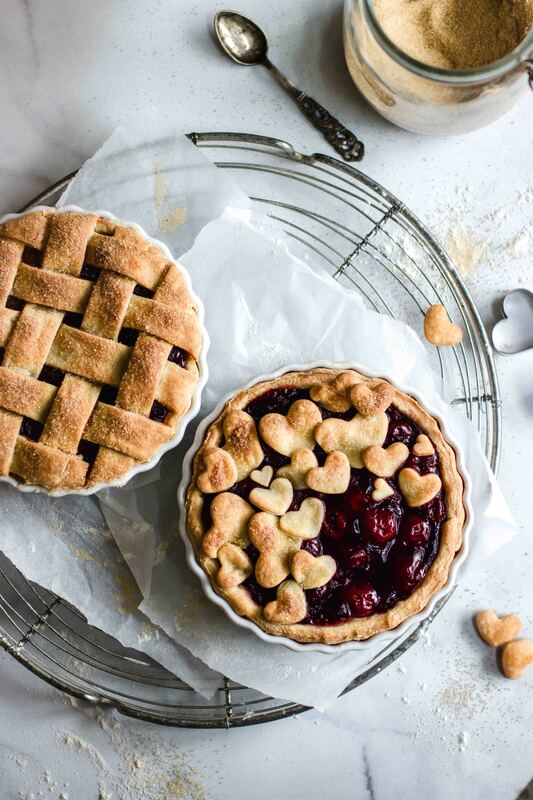 The dough is made in no time at all and that’s what makes this cherry tart so special. 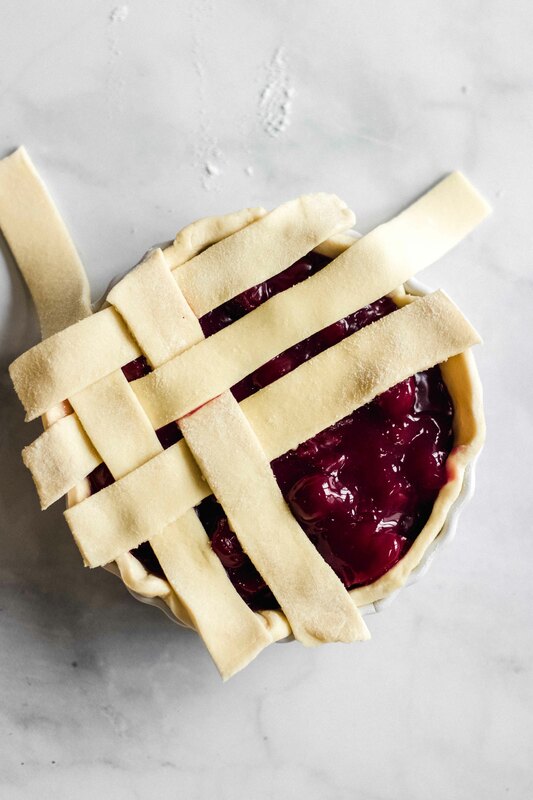 Of course, you can also use a store-bought puff pastry or pie crust if it’s easier for you. 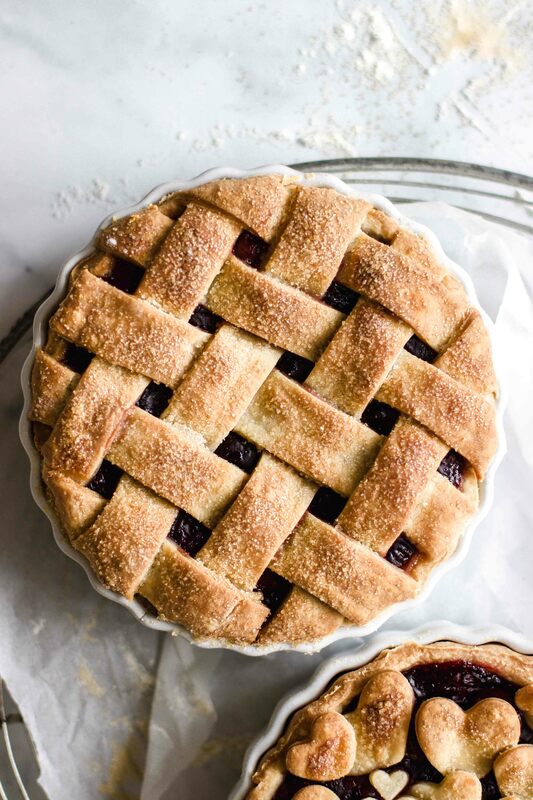 Either way, this cherry pie is the perfect dessert for fruit dessert lovers and anyone who wants to become one. 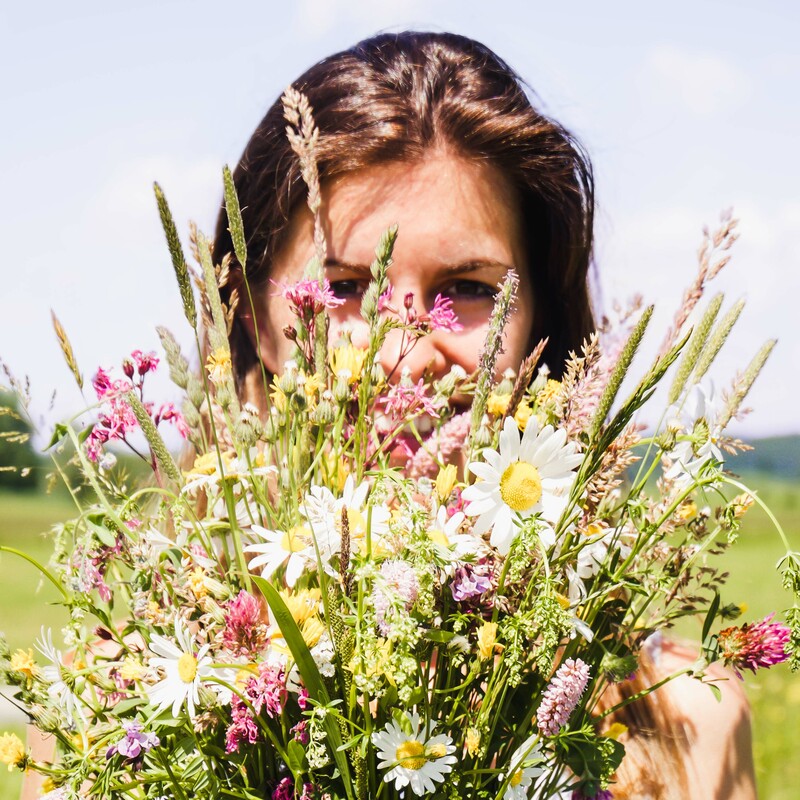 It also gets a big advantage for the fact that it can be prepared super fast and is therefore ideal when a spontaneous visit is announced. 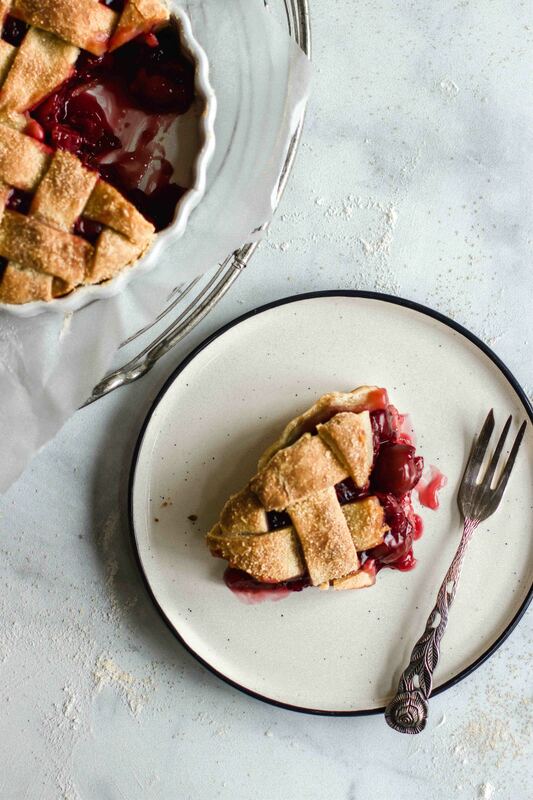 All you need is a glass of cherries and a (frozen) pie crust at home. It tastes best when you serve it warm and with a scoop of vanilla ice cream. 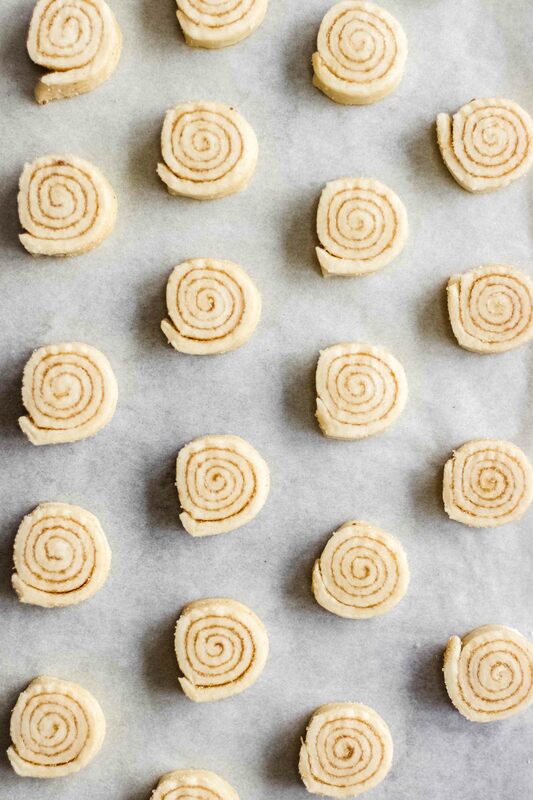 TIP: If you have some dough left over, you can make crunchy cinnamon cookies out of it: roll out the dough about 3 mm thick, sprinkle with sugar and cinnamon, roll into a snail and cut into slices about 7 mm thick. Bake. As soon as they are golden brown, remove them from the oven, let them cool down and keep the cookies in an airtight container. They last at least 2 weeks. Theoretically. You will certainly have eaten them before. 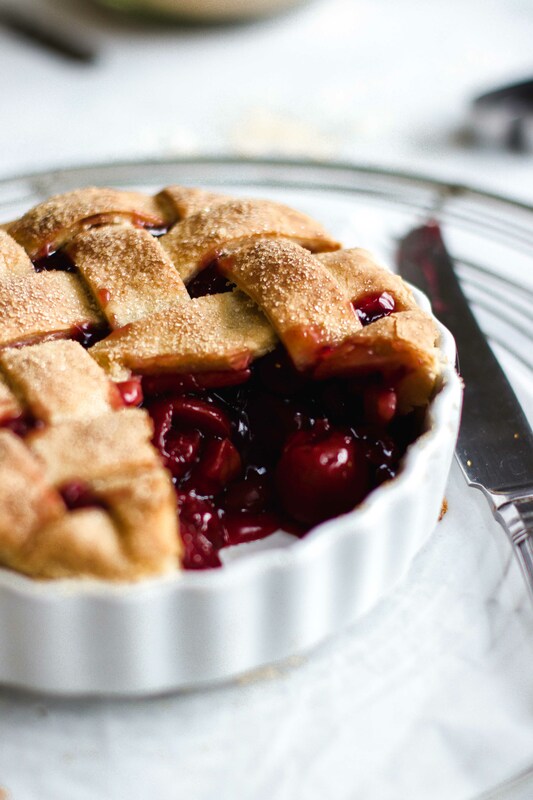 Warm cherry pie with a flaky homemade curd puff pastry. So delicious! My palate is somersaulting! For the puff pastry, add the flour, curd cheese and salt to the bowl of a food processor. Add the cold (!) butter in small pieces. Quickly knead into a homogeneous dough. Sprinkle flour on the work surface. Place the dough on top and roll out to a thickness of approx. 5 mm. Fold the lower third upwards and the upper third downwards. Then fold the right third to the left and the left third to the right. You should then have a square. Roll it out again 5 mm thick and repeat the folding process. Put folded dough on a plate, cover with saran wrap and refrigerate for at least an hour. TIP: If you do not use it immediately, but only in a few days/weeks, you can freeze it. Put it out of the freezer 1 hour before you want to use it. Grease the tart moulds with a little butter and dust with flour or brown sugar. 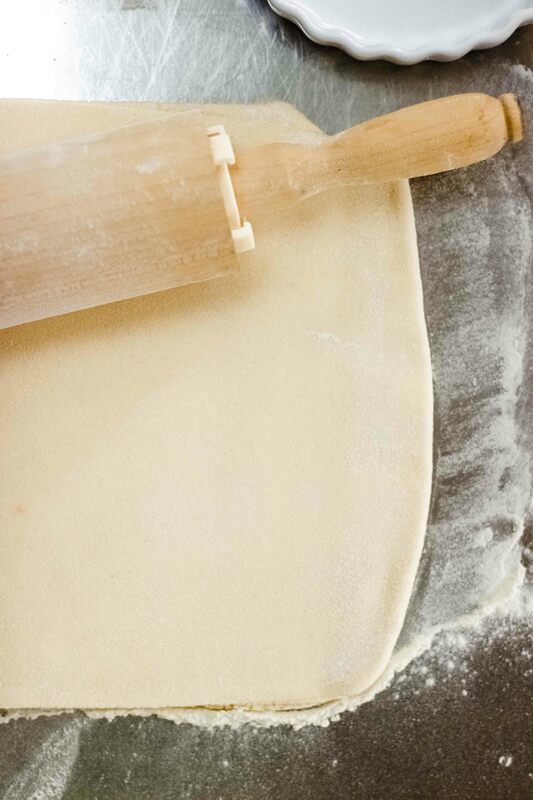 Roll out the puff pastry to a thickness of approx. 4 mm and press into the tart tin. 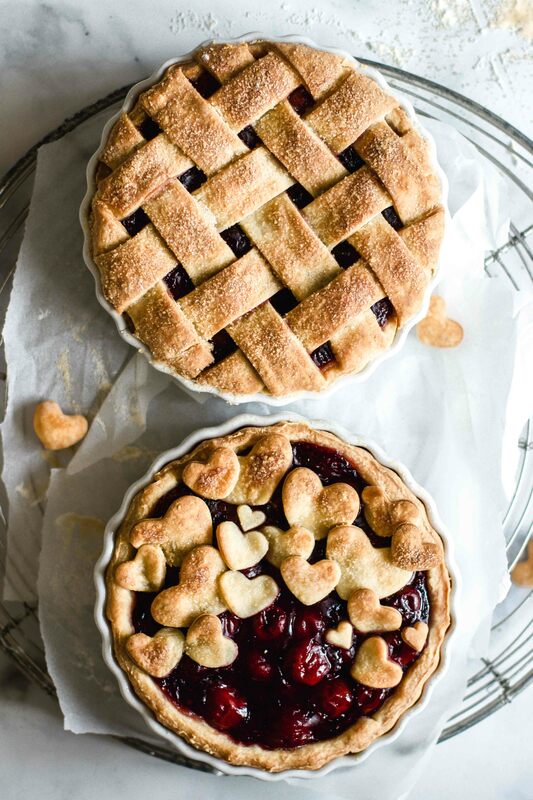 Cut out the rest of the dough in shapes of hearts, starts,... or cut it into strips to top the pie. Preheat the oven to 170°C / 350°F top/bottom heat. 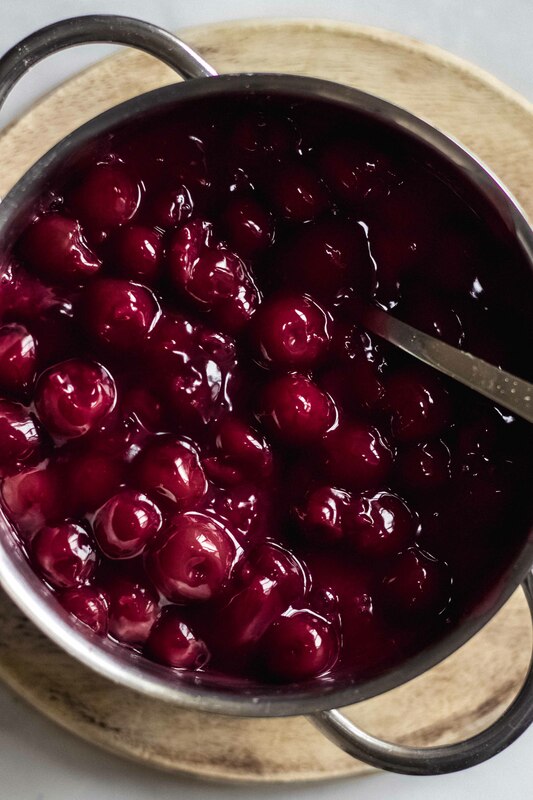 For the filling, put the cherries and half the juice in a saucepan. Bring to the boil once. Mix the remaining juice with the starch and sugar and stir into the boiling cherries with a whisk, stirring constantly. Switch off the plate, but leave the pot to stand. Add vanilla. Simmer the cherries for a few minutes until they are thickened. 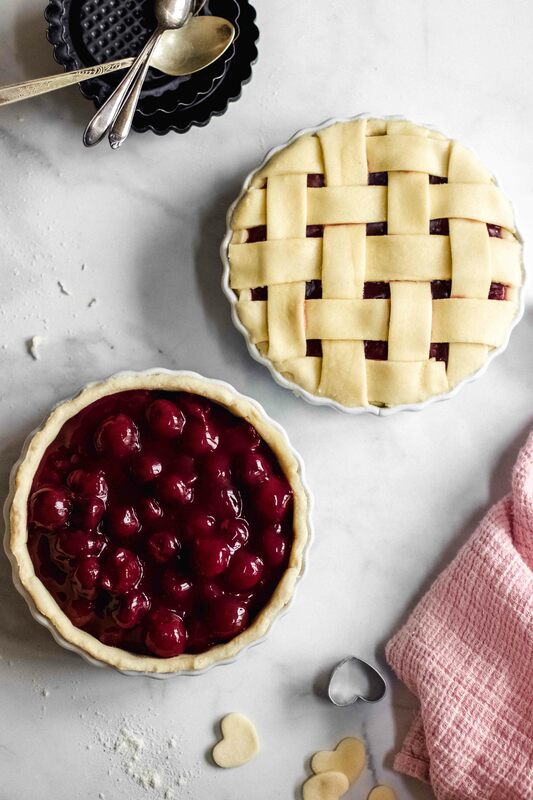 Pour the cherries into the moulds lined with the puff pastry. Cover with the cut-out moulds or strips. Beat the egg and coat the puff pastry. Sprinkle with some sugar. 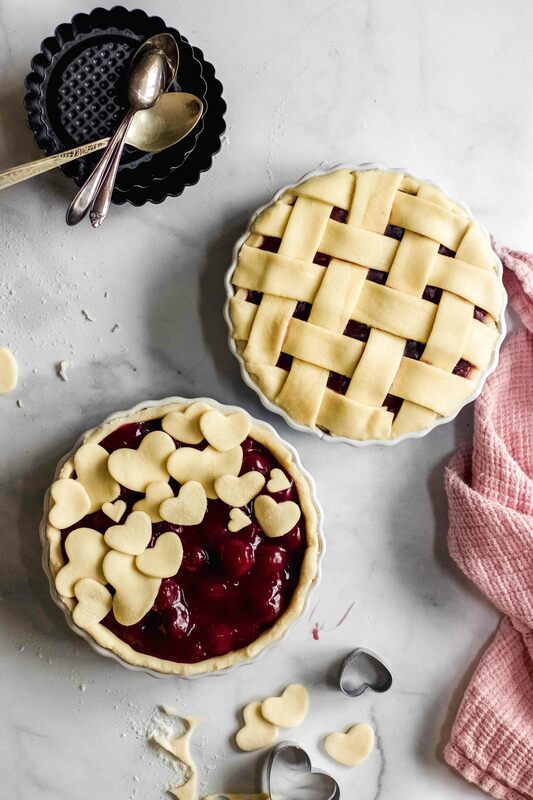 Bake the pies in a preheated oven for about 35-40 minutes until golden. Allow to cool to room temperature. Serve pure or with vanilla ice cream.